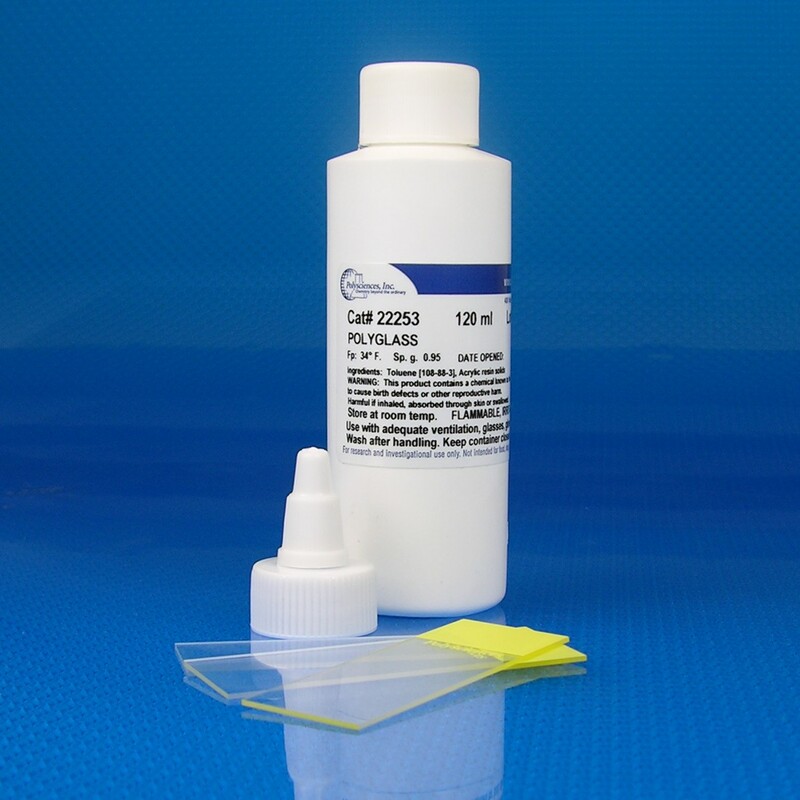 A toluene based liquid coverslipping media designed to eliminate the use of coverslips. Non-yellowing, and scratch resistant, Polyglass simplifies the protection of prepared slides. The refractive index is near 1.48 and can be removed if necessary by soaking in toluene or xylene. Ideal for uneven thick sections that cause air bubbles under a coverslip with routine procedures.